Distressed about the children’s plight, community activist Fred Ruffing, president of the Higher Horizon Day Care Center (housed at Mount Pleasant Baptist Church), vowed to do something to help these families. His first stop, with his wife Emily, was a meeting at Peace Lutheran Church with ministers and laypersons from eight Annandale area churches. These churches pledged money to help place the children in new day care centers and appointed a day care action committee to find places for the children. It became apparent they might have to start their own day care center — a daunting prospect. But they were determined and out of that determination, the Annandale Christian Community for Action (ACCA) arose. 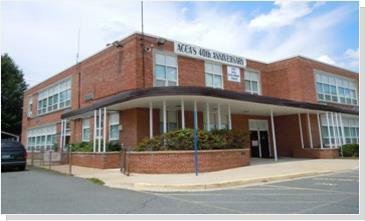 John Calvin Presbyterian Church (Columbia Pike) volunteered to allow ACCA use of their building for the center. The group received a grant from the County of Fairfax and participating churches, which now numbered 12, and then incorporated in November 1967. The ACCA Day Care Center officially opened on January 3, 1968 with an enrollment of 32 children, paid staff, a small bus, and great joy. Parents paid tuition based on a sliding scale, depending on their income and family size. The day care center remained at John Calvin Presbyterian Church until 1977, when it moved into the building that previously had been the Annandale Elementary School on Columbia Pike. The ACCA Child Development Center (CDC) remains there today, with a staff of 60 employees to watch over and educate close to 200 children. In addition to the Child Development Center, ACCA provides food, rental assistance, furniture, and other services to low-income families in the Annandale/Bailey's Crossroads area. In particular, the local Food Pantry, Meals on Wheels, and a Used Furniture Program for those in need are vastly utilized, and donations are always most welcome. 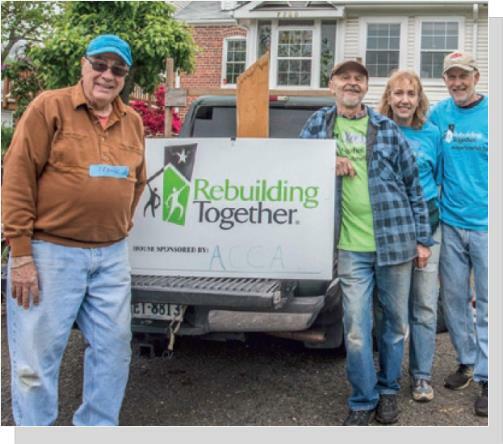 This year on Saturday, April 29th, ACCA will sponsor two houses in Annandale as part of the National Rebuilding Together Day. ACCA first became involved with the program in 1990 when a group of about 25 volunteers from 5 churches repaired one home. Since then, ACCA volunteers have repaired 117 homes, raised over $162,000 and provided more than 33,000 hours of volunteer service. The Rebuilding Together program is held each year on the last Saturday in April from 8 a.m. – 5 p.m. The work consists of repairing owner-occupied homes of low-income individuals and families, primarily the elderly and disabled, and group homes. Over 70% of the homes repaired have had at least one disabled person. The average age of the homeowners is 69. At a time of increased economic stress, many homeowners are faced with choosing between necessary home repairs or paying for health care, food or utilities. Over the next four weeks, the ACCA house captains will be working with two such home owners to review the work to be done and recruit volunteers. They need painters, people with basic carpentry and home repair skills, and generalists who are willing to help where needed. The skill levels and number of volunteers required vary with the work to be accomplished. If you would like to help, or if you would like more information, please contact Marie Monsen at 703-354-9408 or mamonsen@verizon.net. You will take far more away than you give! HIGHLIGHTS: Through the efforts of 26 local churches and more than 500 volunteers ACCA was able to serve nearly 6,500 people in our community last year. The Food Pantry made deliveries to 77 households in February, assisting 292 individuals. This was more than twice the level of assistance provided in January. Girl Scout Troop 675 brought a donation of canned goods that they collected at their Thinking Day Celebration on February 24. Volunteers from Cornerstone Church helped stock the shelves in March and a local soccer club held its fourth Kicks for Cans tournament benefiting the Food Pantry on March 26th. As a result, and following on the heels of the Stuff the Bus campaign in January, donations remain high for now. Some businesses have organized food drives at their offices offering pizza or an extended lunch hour to anyone who participates. To show your strength as a corporate citizen, organize a food drive once or more a year. Donations are the lifeblood of this Food Pantry, and this is an opportunity to make a significant contribution to those right in the Annandale community while providing a positive learning experience for your kids or employees. Homeowner Associations have made a difference as well. 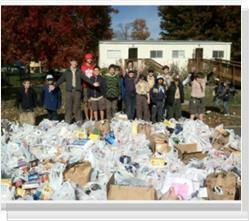 The Lafayette Village HOA has hosted a food drive each Martin Luther King Day since 2009. 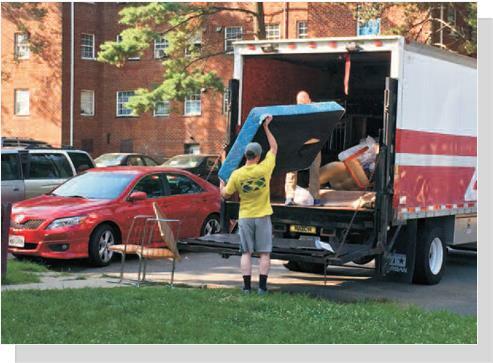 This year they collected 388 pounds of pantry items donated by their residents. Ask your HOA to set up a similar food drive. ACCA is an alliance of 26 churches in the Annandale community and adjacent areas. Each church appoints an Official Representative (OR) who serves as a member of the ACCA Board of Directors. TO LEARN MORE about ACCA, visit their website at www.accacares.org. This article was first published in the April 2017 issue of the ENDEAVOR News Magazine. Reproduction of this article, in whole or in part, requires written permission of the author.